We all love meatballs. We love them in spaghetti and on subs and we even love them dipped in a great Hawaiian sauce. Making them from scratch, however, gives us cold sweats. Making raw meatballs takes lots of time and patience to stand there rolling all meat into perfect little spheres. 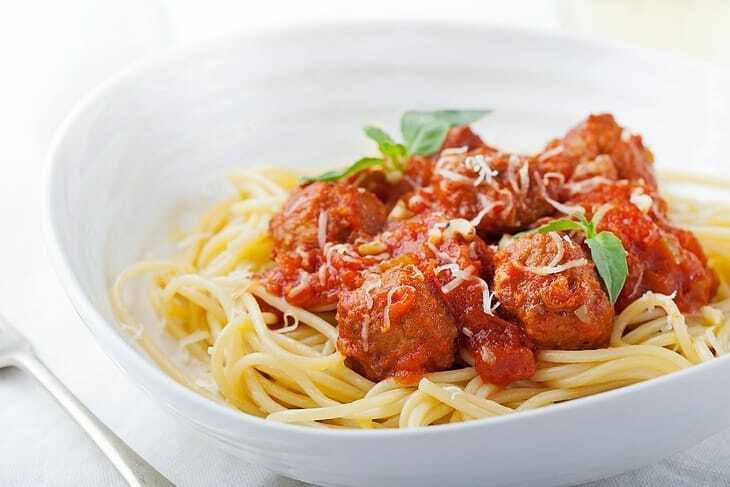 Therefore, frozen meatballs seem to be a good choice, but learning how to cook them takes a bit of finesse. Take a wrong step, you and your creation will have the humiliation of sitting untouched at the next potluck. I don't want you to face that embarrassment, so I've assembled some tips, tricks and ideas to help you cook perfect frozen meatballs every time. There is a long list of meatballs recipes and today I will pick out my two favorite ones: Swedish Meatballs And Tex Mex Meatballs. These two are not only easy to follow but also lead to amazing results. 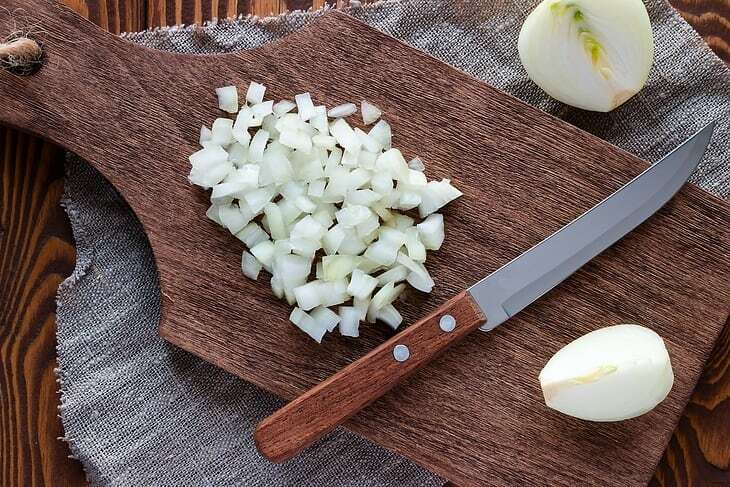 It can bring some fresh flavor - Swedish or Mexican flavor to your dishes. Keep reading until the end to get some useful tips of cooking meatballs from my own experience. 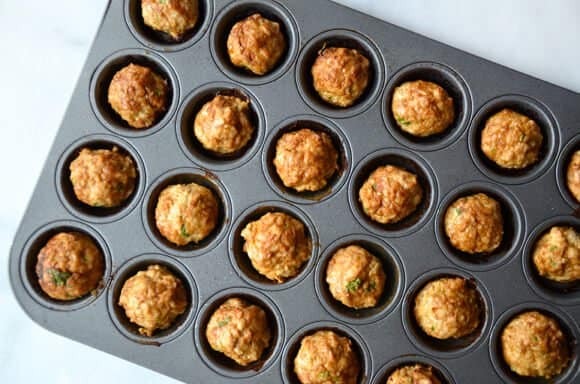 You can use the tray to thaw out your frozen meatballs and ensure that the dish turns out great. Treat the tray with nonstick spray first so the meatballs will easily slide off when it's time for the next step. 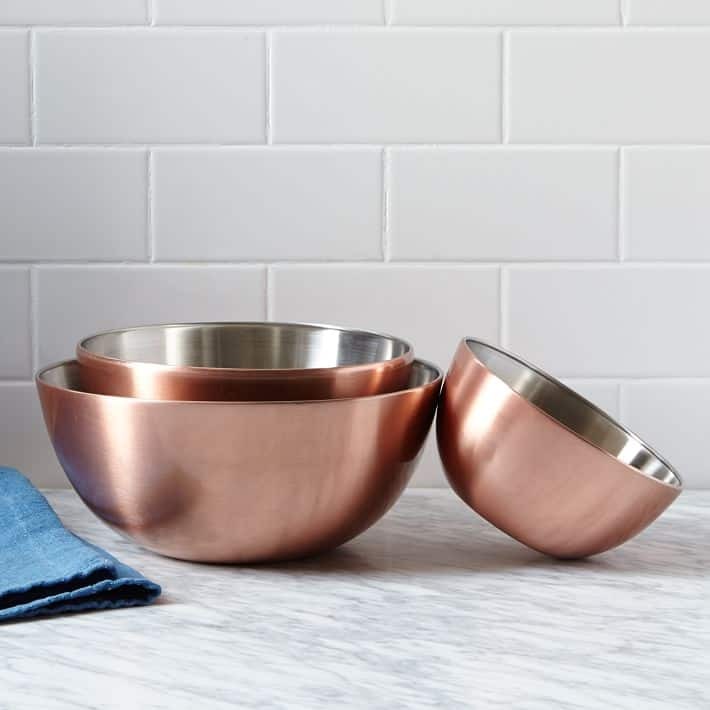 Space to spread the meatballs out so that they thaw quickly while maintaining their shape. For basic meatballs, warm them at 350 degrees for 10 - 11 minutes before adding them to the sauce. 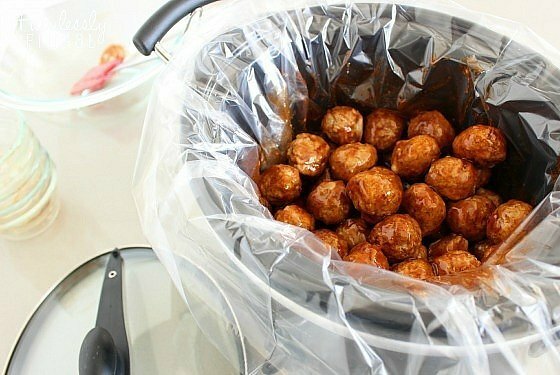 A great solution for taking meatballs to a party. You can use a slow cooker for delicious Tex Mex meatballs that all your friends and family will love. Meatballs can be messy, using the liners can make life easier (when you finish, just ball up the liner and throw it away). Frozen meatballs are generally cooked on low heat for 6 to 8 hours so you can cook while you're at work. 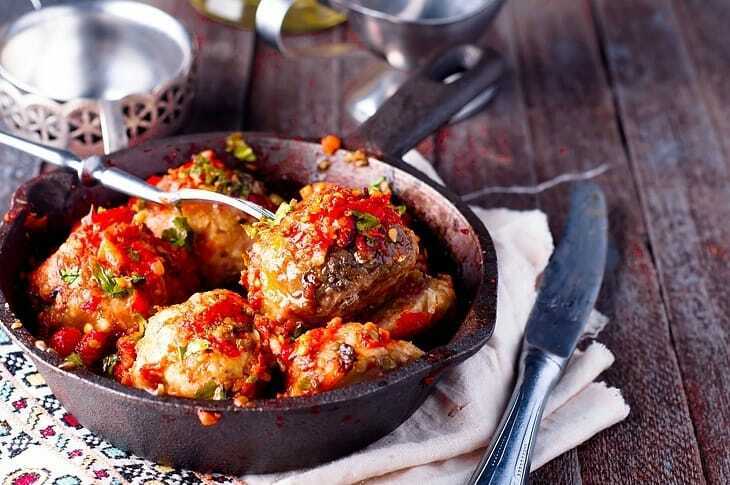 Some people use iron pans, however, a nonstick skillet is ideal for working with frozen meatballs. The meatballs will retain their shape nicely and you'll have an easier time with cleanup. Choose a larger size if you're making Swedish meatballs. Deep skillets are handy for creating a roux and mixing everything together. I typically go with an 18-inch skillet so that I can easily make the dish without creating more work for myself at the end. 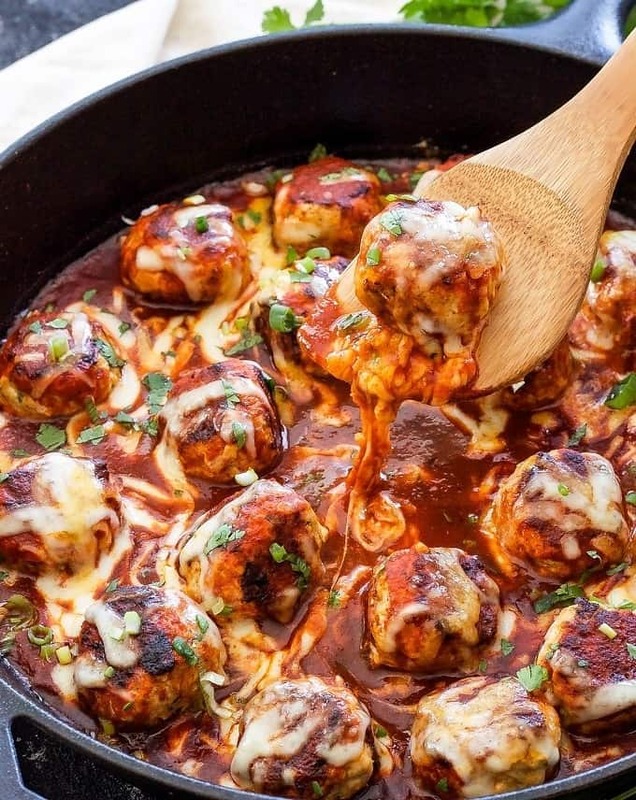 It's easier to make Tex Mex Meatballs if you mix the sauce ingredients together before pouring it over meatballs. The flavors blend together will make the perfect sauce. Mix the ingredients over a very low heat and the sauce will be closer to a warm temperature when it's added to the crockpot. You will need about 32 ounces of frozen meatballs for 8-10 serves. The size of the meatballs is strictly up to you. If I'm making meatballs for a party, I go with smaller ones that will stretch further.The 1/2-ounce meatballs are perfect for appetizers, and more of your guests can enjoy them. However, when I'm cooking for the family, my kids want 1-ounce meatballs that they can cut up and really bite into. It's a personal choice, so don't be afraid to experiment with different sizes. Swedish meatballs are a favorite dish in our house. They're a great choice with noodles or fried cabbage. Served with a green salad and some mixed vegetables, this meal is fast and simple to make. It's sure to become a favorite for your family. 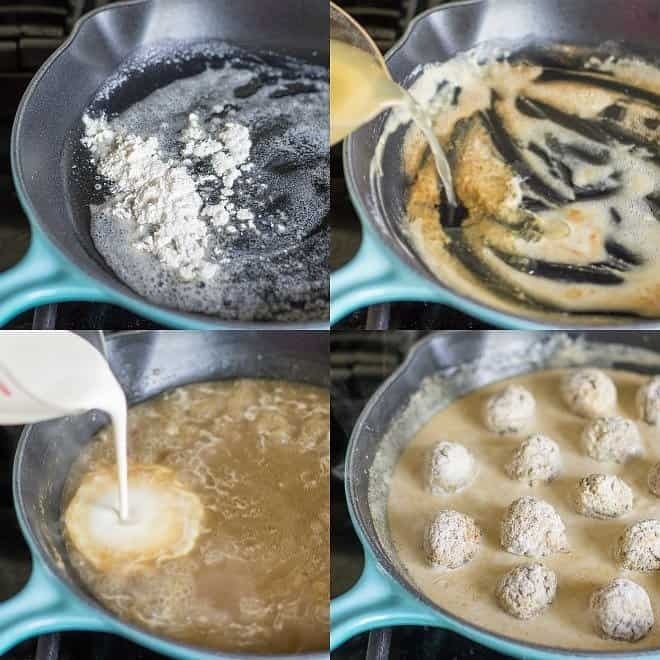 Your Swedish meatball dish depends on your ability to make an amazing roux and making the roux is easier than you might think. Melt 3 tablespoons of butter in a skillet over medium heat. Once the butter is melted, drop in 2 tablespoons of flour and blend it until smooth. 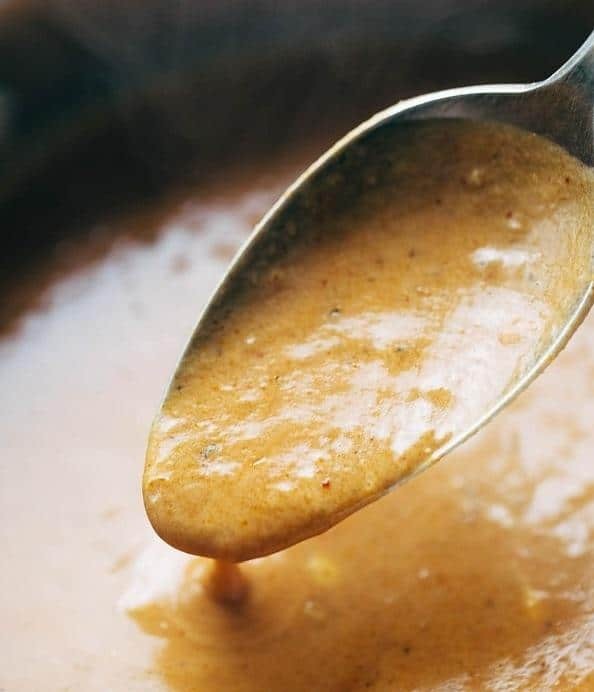 Use a spatula to keep the roux moving until it turns a nice, golden brown. I've learned the hard way that you don't want to move forward with a burnt roux. It's better to just toss it out and start over again with a lower temperature. 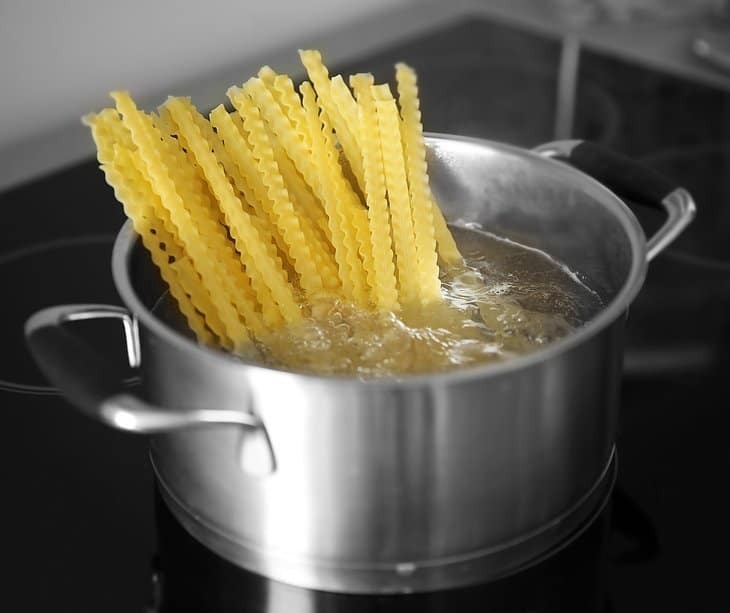 While the roux is working, put a pot of water on to boil your egg noodles. They can cook up while you're mixing the sauce, and your dish will make it to the dinner table in record time. Some people prefer the noodles al dente, but I like them on the tender side. This allows them to absorb more of the gravy which makes Swedish meatballs such a hit. 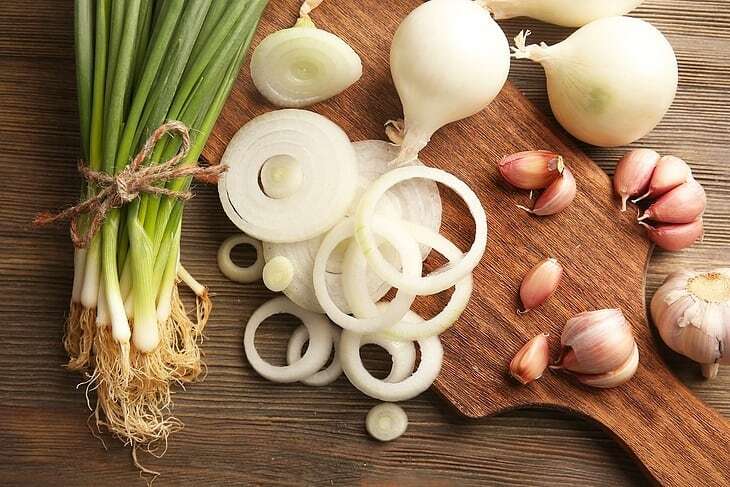 Add one small, finely chopped onion to the roux can take the dish to a whole new level of flavor. Your onions will soften in the roux, and the juice from them will make the gravy base easier to manage. Give them a few minutes to turn translucent in the roux and blend with the gravy base. This is the right time to add your meatballs so that they can start to take on the flavor. 1 box or can of beef broth. Put every ingredients in the bowl and whisk them together briskly. Pouring the sauce over the meatballs. Stir the entire dish carefully to mix the flavors. Wait for a few minutes for the sauce to thicken and your meatballs will be ready to serve. Give taco night a new twist by serving up Slow Cooker Tex Mex Meatballs. This simple dish makes a hearty dinner that's great to put in the slower cooker in the morning when you're having a busy night, and your family will love the flavors. It's also simple enough for your next potluck meal. This dish is meant to cook in layers, and that makes it very fast to prepare. Layer 1 small chopped onion and 3 minced garlic cloves in a 4-quart slow cooker. Don't mix them or add any liquid. Place the frozen meatballs on top before turning the slow cooker on low. 14.5 ounces of diced tomatoes with juice. 1/4 cup of beef broth. 1 cup of chili or enchilada sauce. A 4-ounce can of chopped green chilies with sauce. Slowly pour the mixture over the meatballs. Continue cooking on low for 6 to 8 hours. No need to stir anything, the meatballs will be tender at the end. Add in a 1-pound loaf of spiced processed cheese, cut into cubes. 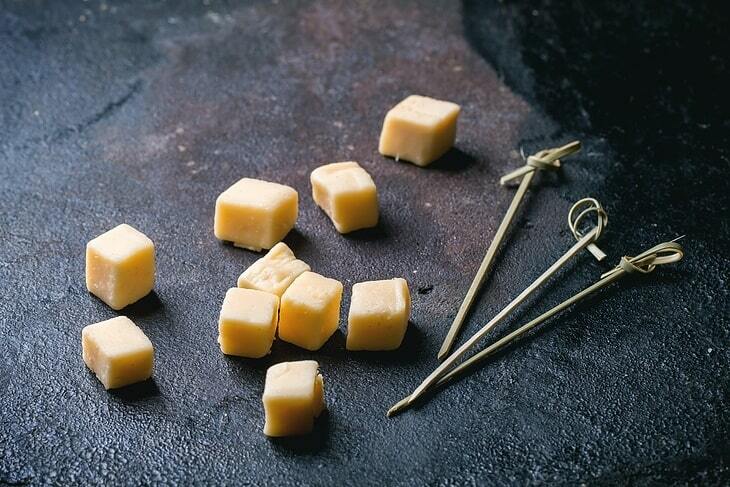 Stir as you add the small blocks to evenly distribute the cheese and mix the flavors. Allow it to cook for another 20 to 30 minutes to bring out all the flavors and let the spices kick in. Serve with flavored Mexican rice, or fill up taco shells or tortillas with your meal. For Swedish meatballs, it's easier to move meatballs neatly around the pan if they're slightly thawed. Take the meatballs out of your freezer when you start to make the roux, and leave them in a warm spot in the kitchen to start softening. When you place them in the sauce, they'll move around easier and start pulling in more of the delicious flavor. If you have granite countertops, you'll find that they thaw faster on this surface than other materials. If you prefer to use meatballs fully thawed but didn't take them out of the freezer ahead of time, go with the water method. While hot or warm water will start cooking the outer layer of meat too much, cool water does the trick without altering the taste or texture. 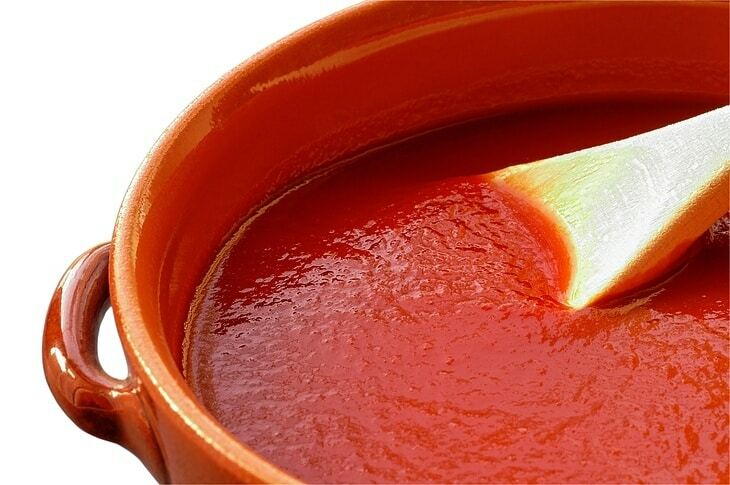 You can start working on the sauce while you're waiting for the meat to fully thaw. 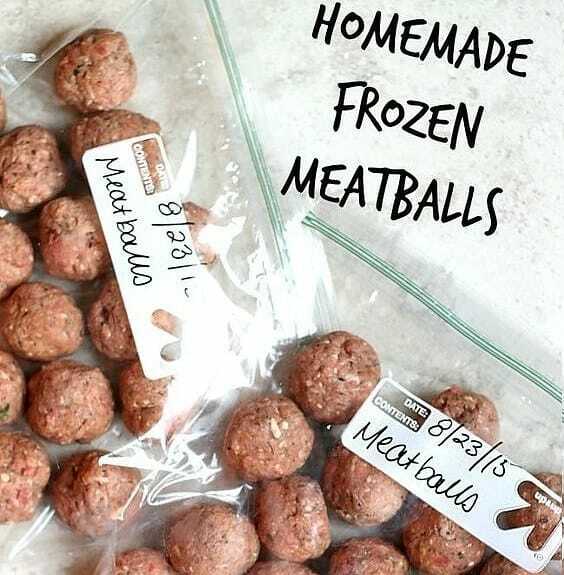 Frozen meatballs can last a year or longer if they're maintained at a stable temperature. Stores regularly put ready-made items on sale, and this is the best time to stock up. Keep several bags in your freezer so that you'll be ready to enjoy a hearty meal in a pinch. When you have busy evenings, you can put some meatballs in a slow cooker in the morning for a fast dinner when you return. Whether you're a busy parent or a student with a hectic schedule, frozen meatballs can make your life easier. 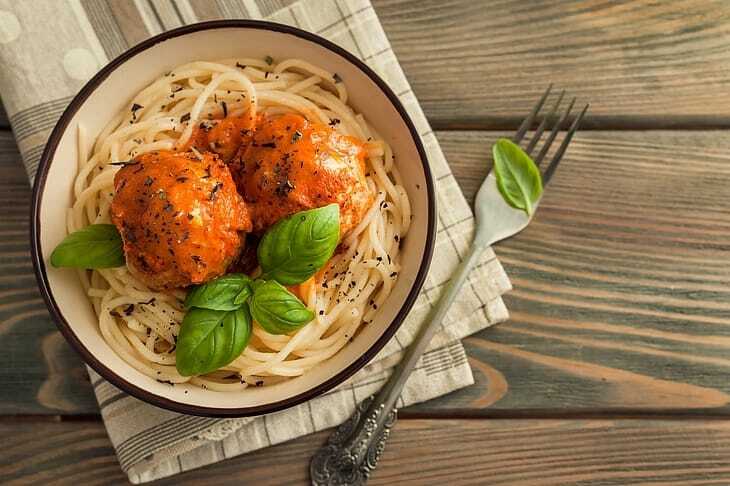 When you want to make an impression at the neighborhood party or you just need a few fast and easy dishes for those busy nights, frozen meatballs can come to your rescue. 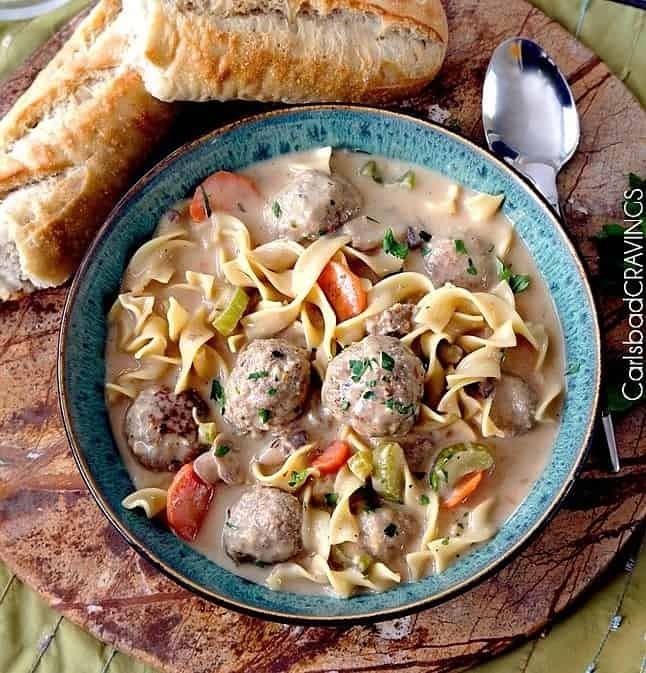 With the right recipe, they can be just as tasty and soft as homemade meatballs, and you'll save a great deal of time on the preparation. Take it from a busy mom who also loves eating! Frozen meatballs are delicious, fun and worthy of far more than just your spaghetti. Add them to your repertoire to keep your family happy and well fed. What do you think of these recipes? Leave your own tips, thoughts and ideas in the comment section, and share these recipes with a friend in need of quick and tasty dinner ideas. Sharing is caring!